This blog isn’t terribly autobiographical by plan, but a little context is needed. I’ve not been feeling well this past week — a combination platter of flu and other mysterious ailments — and it put me in a delicate state. Loud noises, bright lights, sharp sensations all make me want to go back to my twilight bedroom and stay there for a long time. I stumbled on to this recording, the subject of a post I did in 2014, which has biographical and medical data: Clarence Profit died at 32, so he’s perhaps not the best icon for someone sick in bed, but I think his music has its own quiet healing powers. Music of lightness and clarity but with depths of feeling and texture below its elegant surfaces. Open spaces and polished dark wood all at once. BODY AND SOUL is its own little world, moving from a somber start to a playful interlude — quiet dance music — before it winds down. Tender musings: no cliches, no exhibitionism — although the subtle byplay between melody and quiet layered harmonies is exquisite. I think if I take these two sides into my ears and heart every four hours, as well as keeping hydrated, I will get better. Who knows what it will do for you? Beauty is always curative. Incidentally, there are other YouTube postings of this music that might (sonically) please more. Feel free to roam: I have a fondness for this one because — said without shame — it’s mine, but you don’t have to. PLEASE DON’T WIGGLE. PLEASE KEEP STILL! I hope the title of this blogpost causes someone to consider looking for a moment before sniffing out the newest Facebook notifications. 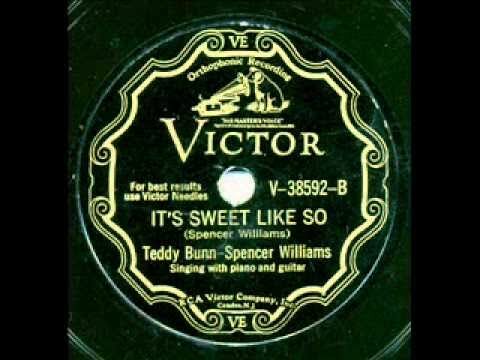 What follows is an intriguing recording from April 7, 1930 — made for the prestigious Victor company at the start of the Great Depression, aimed at the African-American market and also (I presume) the market for slightly salacious “party records,” material that one would hear on a Black vaudeville circuit. 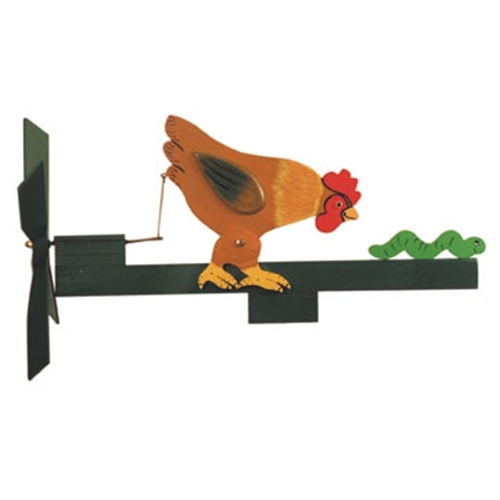 The ostensible narrative is about a chicken and a worm, but I suspect that other messages are and were being sent . . . beyond the farm. The participants are Spencer Williams, vocal and perhaps composer; Teddy Bunn, guitar, vocal; Clarence Profit, piano. I confess I have a hard time with some of the lyrics, but PLEASE DON’T WIGGLE. PLEASE KEEP STILL! is or are words to live by in so many situations. 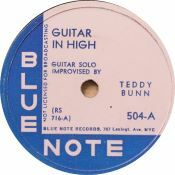 There are few enough opportunities to hear Teddy Bunn in this period, and fewer to hear the very short-lived Clarence Profit. So listen closely to the merriment going on around and behind the vocals. And spare any worms you might encounter. 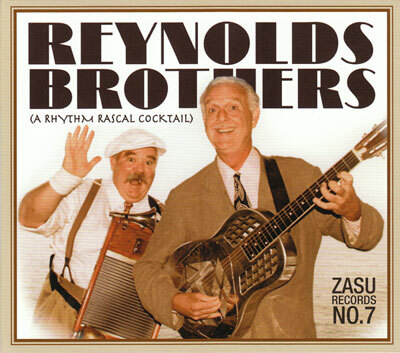 Posted in "Thanks A Million", Bliss!, Generosities, Irreplaceable, Jazz Titans, Pay Attention!, Swing You Cats!, That Was Fun!, The Heroes Among Us, The Real Thing, The Things We Love, Wow! I knew Profit’s work — solo, trio, and as a band member — for many years, but he has come back to my mind and ears because of a purchase made a few nights ago at the Haight Street Amoeba Music in San Francisco: a red-label Columbia 78 of BODY AND SOUL (take B) / I DIDN’T KNOW WHAT TIME IT WAS, both Profit solos. I was so taken with them that I had to share them with you. Each of the two performances begins with an exposition of the theme — simple yet quietly ornamented, with a spareness that is masterful, a peaceful, almost classical approach to the melody (but with elegant, often surprising harmonic choices beneath). He is patient; he doesn’t rush; he doesn’t attempt to impress us with pianisms. His playing verges on the formal, but it is based on a serene respect for the melody rather than a tied-to-the-notes stiffness. I know nothing of Profit’s early death, and can only speculate. Did he, like so many musicians of the time, succumb to tuberculosis or pneumonia? I am not simply asking a medical question here, but a larger one: where did Clarence Profit go? How could we lose him at such a young age? How many pianists under the age of sixty have heard these recordings? He left a void then, and it remains unfilled today. Perhaps some readers have the Meritt Record Society issue above, or the Memoir CD devoted to Profit’s work, and can offer more information. My own story of his elusiveness comes from this century. The parents of one of the Beloved’s New York friends had frequented Cafe Society and Fifty-Second Street. Oh, yes, they had seen Clarence Profit — the name supplied voluntarily by the friend’s octogenarian mother — but it was so long ago she didn’t remember any details. Like the jazz Cheshire Cat, all that remained was her smile as she said his name. The American novelist William Maxwell (1908-2000), who wrote searchingly and lovingly about his Illinois childhood, told an interviewer late in life that if people didn’t write down what they remembered, so many beautiful things would vanish forever. Maxwell was right, and I am reminded of this now more than ever before. One of the Beloved’s friends has endured the deaths of her parents, both in their early nineties, in the past year. I met her parents twice. They had been political activists in the Thirties; the husband, a writer, had worked with Langston Hughes. When they heard that I was immersed in the jazz of their era, they — in turn — became happily animated. They had been to Cafe Society; they had heard Billie Holiday and Fats Waller frequently; they had particularly loved a pianist who played on Fifty-Second Street but couldn’t immediately call his name to mind. (He was Clarence Profit.) 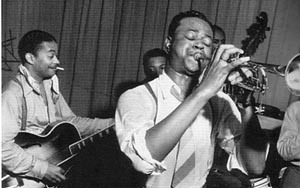 They had been at the 1941 Count Basie recording session when Paul Robeson tried to sing Richard Wright’s blues in praise of Joe Louis, KING JOE. Each of these comments seemed to me like a doorway into the miraculous past: people stting in the same room had been there. They had seen my heroes; they might have magical narratives to share. Of course, they no longer remembered any details. Robeson had had a hard time; the clubs on Fifty-Second Street had been a great pleasure; they beamed as we exchanged the magic names. I had come too late. And they took their stories with them. I urge my readers to ask questions of the Elders of the Tribe. The Elders don’t have to be musicians; they can be someone’s aunt, who owned a candy store where Ellington would buy cigarettes. Or we ourselves can be the Elders, contributing our own memories before they — and we — vanish. 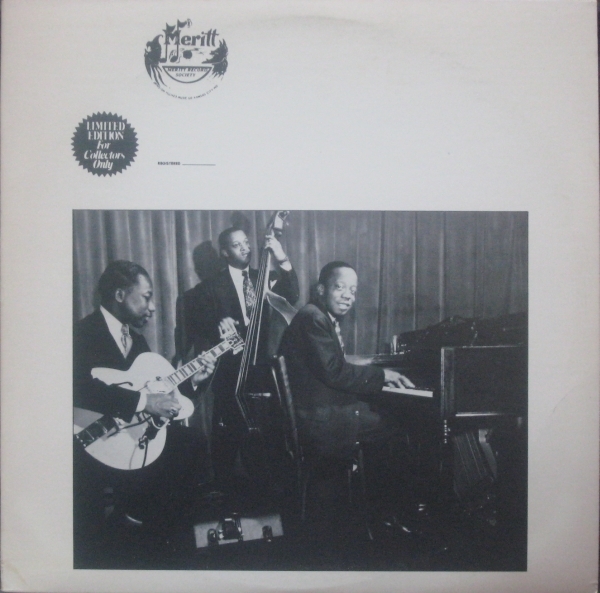 I never saw Clarence Profit, but I did see Bobby Hackett indicating to the band the tempo he wanted for the next number by clicking his tuning slide back and forth in time. Having written that down, I have hopes that it has a less evanescent existence.